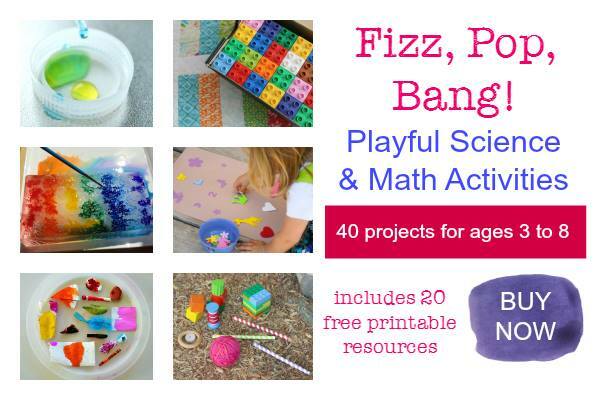 Do your kids love math and science activities? I know my students and my own children have always had so much fun doing hands-on math and science activities. Today I’m thrilled to announce a brand new resource for you that is full of 40 projects for kids ages 3 to 8. It’s Fizz, Pop, Bang! 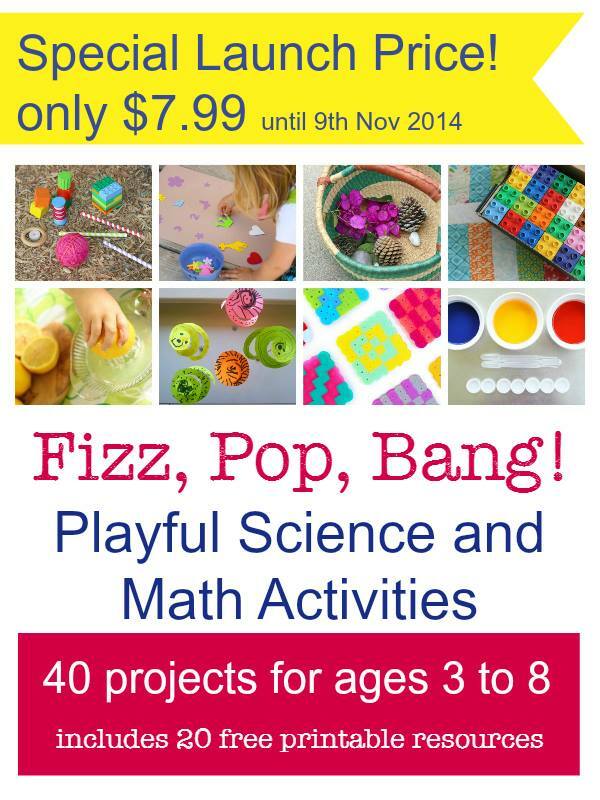 Playful Math and Science Activities, and right now we’re releasing it for the special launch price of only $7.99! The new eBook is a collaborative publication from prominent education bloggers and moms, and it is an amazing resource. In the book you’ll find over 40 new ideas created just for this collection. 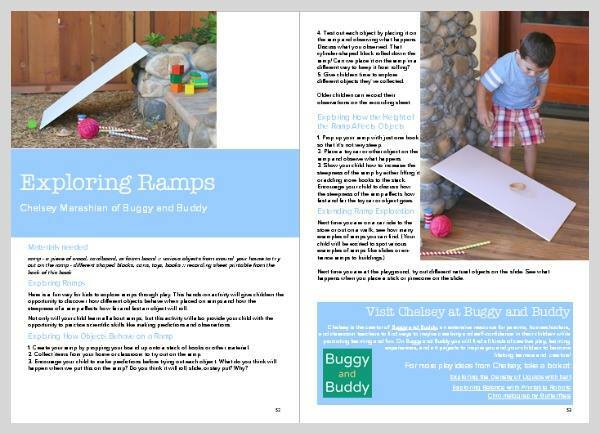 There are also twenty printable resources (including math and science graphing and recording sheets, magnet maze, monster match and sort game, print and build 3D solid blocks, rocket math game, tracing shapes, fact family dominoes, catch and count fish game, and engineering challenge cards). As if that weren’t enough! You’ll find additional links to over 80 more activities related to hands-on math and science, too. I personally love that all of the ideas are very practical and FUN! Whether you’re using the ideas for school, homeschool, summer camps or fun weekend projects, kids won’t feel like it’s “school,” they’ll definitely be learning through art, play, sensory learning and discovery, for a whole-brain approach. Each idea includes great photos and a step-by-step guide. In this simple eBook form, you’ll also everything all in one place so you can easily pull out a new math or science learning activity anytime the mood strikes! For a glimpse at some of the activities, watch this YouTube video. Here’s a sneak peek at the inside of the book, too! Get Your Own Copy of Fizz, Pop, Bang! The price is $7.99 for two weeks only, then $9.99, so buy now! And don’t worry! You can buy the book anywhere in the world. Paypal will take care of the currency conversion. You can also buy it now, on any device, and then download it when you are ready. Depending on the apps you have installed and your operating system you might be able to go ahead and download the book on your mobile device, but if you have any doubts or problems, I recommend you use a computer to download the book and then share it to your mobile devices. After you buy your copy, head back and leave a comment. I’d love to know which ideas you’re trying first!